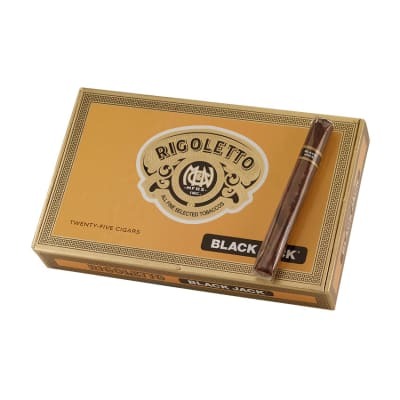 Rigoletto Black Jack cigars are machine made in Tampa, Florida using a mild to medium blend of high quality Dominican filler tobaccos and homogenized sheet binder rolled in Connecticut Broadleaf Maduro wrappers. 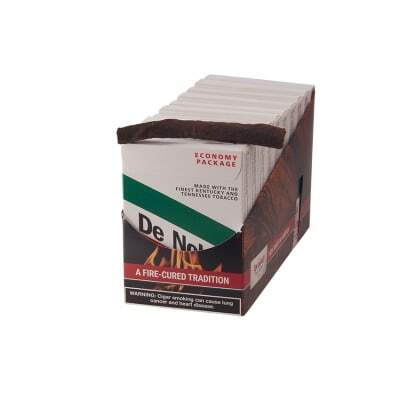 For the money, they make a decent every day smoke. 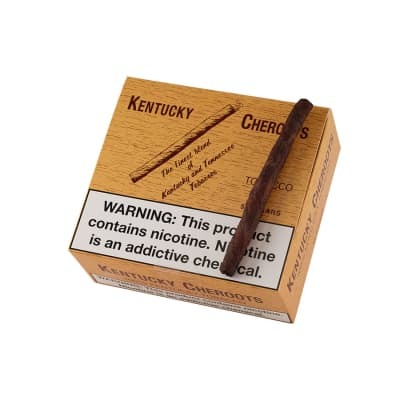 Excellent taste as you smoke one end and chew the other. Exceptional burn & draw, long lasting and I find it difficult to head for the creek without several in my shirt pocket. Never a burn out or burn thru. A machine made that smokes like a hand made. Not the prettiest stick in the world but what it lacks in looks it makes up for in flavor. Great maduro taste without the nasty aftertaste a lot of machine mades give you. I used to buy these in 5 packs at the food store . 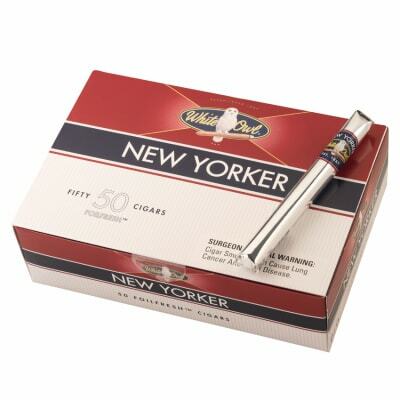 Like a good many cigars with homogenized binder , they get that off taste at some point [ at least to me ] . 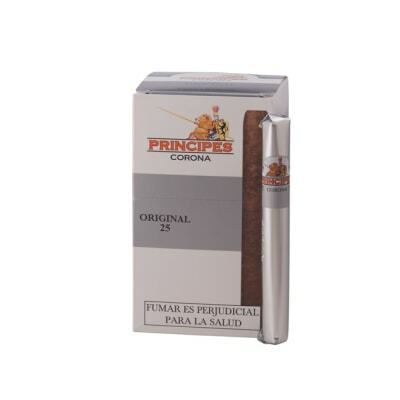 However , the off taste appears far enough down while the majority of the cigar is pretty good ! It starts off kinda chocolaty and stays in one dimension till the end . All in all a good smoke , especially for the money ! The Black Arrow is good too as well as the Rigoletto Dominican , which are better .